The Fixer – a blended whiskey named after the occupation of the main character in the hit Showtime® series Ray Donovan – is the latest spirit launched by Silver Screen Bottling Co. The Fixer is available for pre-sale for $39.99 and will begin shipping in June 2019. Visit http://www.TheFixerWhiskey.com to preorder the product now. Ray Donovan stars Emmy® and Golden Globe® Award nominee Liev Schreiber as the go-to guy who makes the problems of his high-profile clientele disappear. Navigating the dark underbelly and gray areas of New York City’s political world, Ray settles scores for the elite and the deplorable, all while trying to save his unwieldy family from self-destruction. This powerful drama also stars Oscar® winner Jon Voight in his Golden Globe-winning role as Mickey, Ray’s father and an ex-convict who continues to seek revenge on and acceptance from his son. A Showtime® production, Ray Donovan also stars Eddie Marsan, Dash Mihok, Katherine Moennig, Pooch Hall, Kerris Dorsey, Devon Bagby and Graham Rogers. Ray Donovan is executive produced by David Hollander, Mark Gordon, Bryan Zuriff and Lou Fusaro, and was created by Ann Biderman. 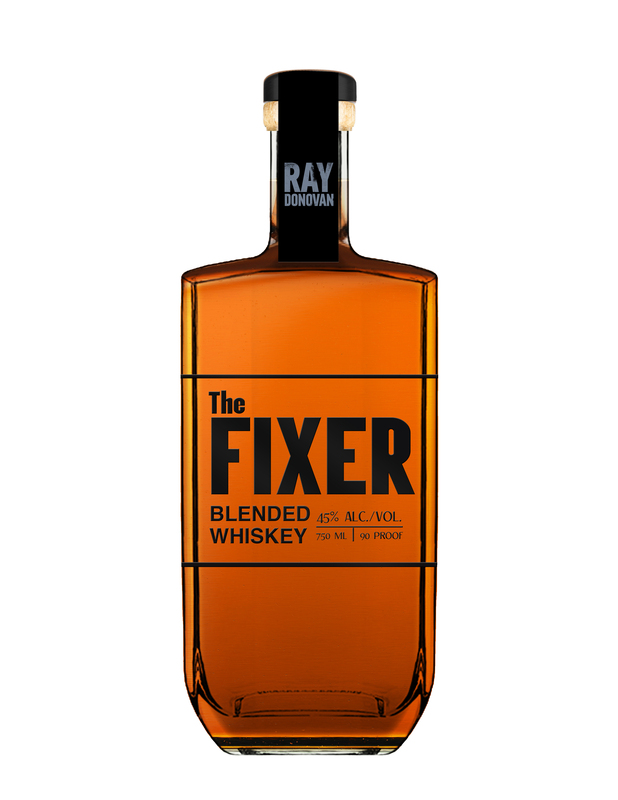 Under license by Showtime® and CBS Consumer Products, The Fixer is the latest product release by Silver Screen Bottling Co., which has launched award-winning spirit brands around iconic entertainment franchises like Star Trek, Fear the Walking Dead and the Fallout videogame series. Visit http://www.silverscreenbottling.com to learn more about Silver Screen Bottling Co.’s extensive licensed sports and entertainment spirits line.